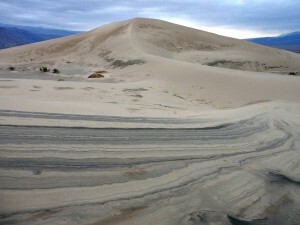 Our National Parks » Does running in national parks cause harm? Does running in national parks cause harm? The mesmerizing views at national parks are enough to lure millions of visitors each year. But for a select few endurance athletes, the allure is more than the views; it is the opportunity to conquer the next big challenge. That challenge? Running rim-to-rim in the Grand Canyon. Or “running the cliffs” in Zion National Park. Or braving the heat while running through Death Valley in the summer. Click on the video at left to view an audio slideshow about running and training in national parks prepared by writer Emily Joseph. Since the modern era of running in 1969, ultra-runners have journeyed to national parks to tackle their notoriously difficult courses. Whether to break records, fulfill a bucket list activity or test their physical limits, these ultra-runners have made a name for themselves. However, it’s not always for the best. While there are no statistics on the number of runners who run in the parks, the obvious increase of ultra-runners has lead to issues concerning the preservation of the environment. 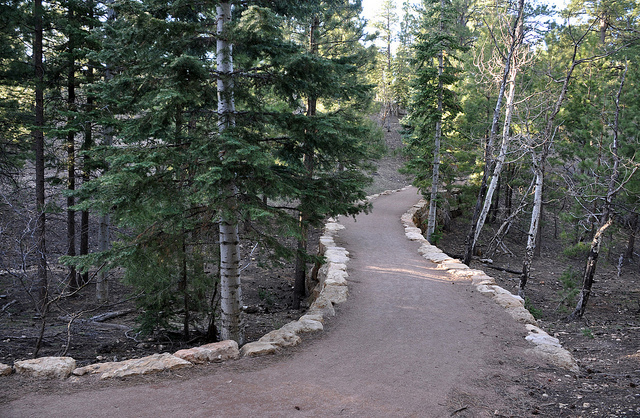 As more runners frequent the trails, park officials worry that the increase in litter and crowding at attraction sites will ruin both the fragile terrain and the overall visitor experience. 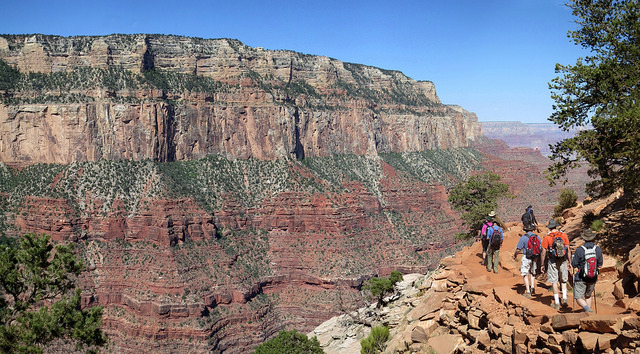 In August, the Grand Canyon staff released its Backcountry Management Plan to increase runner safety, preserve park terrain and improve visitor conditions, effective in September. A ranger guided hike to Cedar Ridge in Grand Canyon National Park (Photos courtesy of Grand Canyon National Park and National Park Service). However, this plan is not yet final. Wayne Ranney, a geologist, author and president of the Grand Canyon Historical Society, says that the Grand Canyon staff is completing a scheduled revision of the management plan due by the end of the year. In the final plan, management will likely list five alternatives regarding running in the park. Ranney, who has been involved with the Grand Canyon for 40 years, believes that running in the park conflicts with park values. 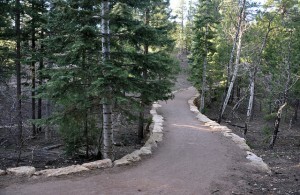 In addition to disrupting other visitors and preventing other trail uses, running, particularly in large groups, damages the park infrastructure. At right, the North Rim Bridle Path at Grand Canyon National Park. 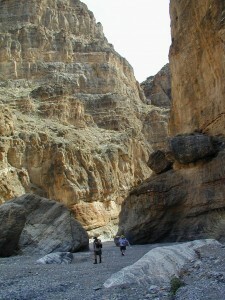 Below, Fall Canyon below the Dry Fall at Death Valley National Park. “There are only a handful of toilets along the 23 mile stretch of trail, only so many water fountains, only so many inches of trail width,” said Ranney. For Ranney, the best solution is to prohibit all athletic activity in the parks. He notes that besides running, all activities are already banned so running should follow in suit. However, as a compromise, Ranney proposes allowing athletic activity over two weekends per year. Yet despite the opinions of park officials, the allure of running in national parks is not fading. From recreational and personal use to competitive events, athletes find national parks to be the ideal location for running. As a result, many sports companies, host trail races through national parks. Enviro-Sports, an adventure sport company based out of California, organizes more than 25 trail races, triathlons and open water swims every year, some of which occur in national parks. They work to educate all people on the importance of the environment and facilitate a balance between protecting and enjoying the outdoors. Michelle Ruettinger, director of operations for Enviro-Sports, believes that athletes and park officials can form a mutually beneficial relationship that can positively affect the parks. According to Ruettinger, athletes will always want to test their limits, whether regarding weather, terrain or elevation, and many parks offer those challenges along with the country’s best natural surroundings. With a company like Enviro-Parks, athletes and park officials can coexist. 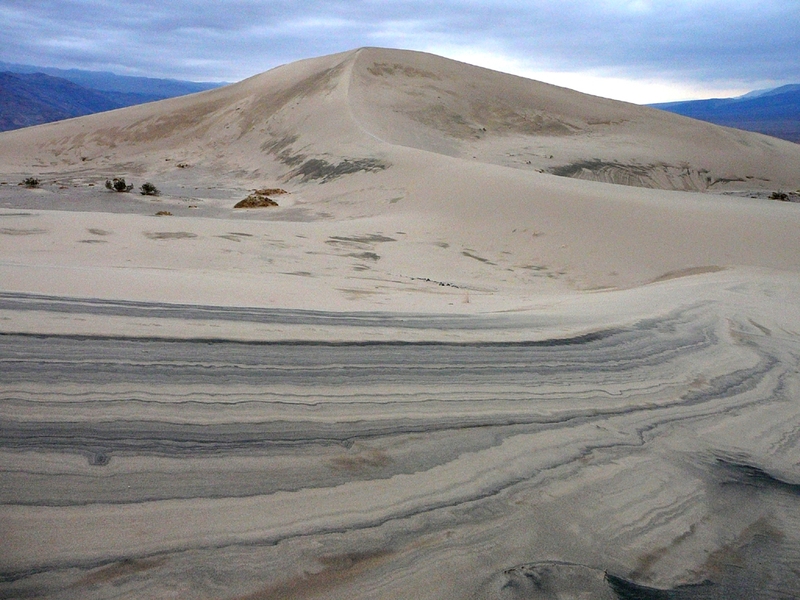 Panamint Dunes at Death Valley National Park in California. Despite much discussion about running in national parks from both athletes and park officials, the future of the sport is uncertain. Both sides feel a pull to the park, for different reasons. Athletes seek the challenging terrain and ability to race in beautiful, peaceful surroundings and park officials yearn to protect the natural landscape. With the new Grand Canyon Backcountry Management plan due for release this month, runners should prepare for some restrictions and guidelines.